Thankfully, I deemed the glue much better when used for crafting purposes, and tasted it just the once. The glue in question? Elmer's! Everyone knows that famous white bottle with the orange and blue label! When a rep from Elmer's contacted me to see if I'd be interested in hosting a craft night (Craft and Tell! ), I thought it sounded like a lot of fun. I expected the box to contain a couple of the good old fashioned glue bottles we all know and love, and maybe a few glue sticks thrown in for good measure. Imagine how delighted I was when this ginormous box arrived at my front door! "Wow, that's gonna be a lot of glue sticks," I thought. I got the surprise of my life when I opened up that box and spotted all the goodies inside! 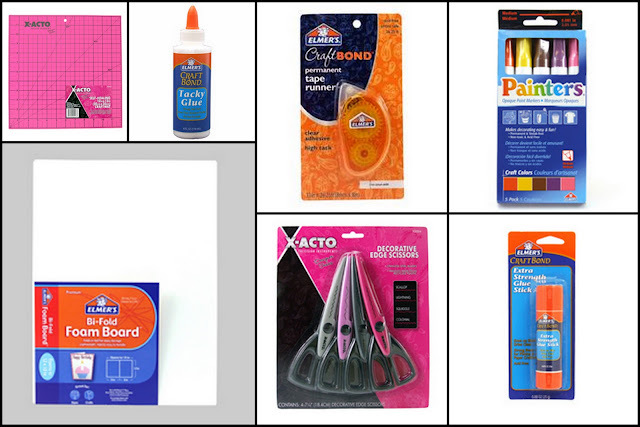 I had no idea Elmer's had so many neat products beyond glue: foam boards for craft and school projects, paint markers, tape runners, circle cutters, paper trimmers, spray adhesive, and more. My Craft and Tell party is scheduled for this tomorrow night, and I am just giddy with excitement! I've been spray painting, organizing, CLEANING, and baking to get ready. Now you can host your own girls' craft night! So, seriously, whether you are crafty or just want to be, Elmer's is making it easy for you guys! I'm leaving the Giveaway (U.S. residents only, please) open until Sunday night at 10 pm (ET), and I'll be sure to recap my Craft and Tell party next week! What is your favorite kind of craft to work on? Leave a comment and tell me. Facebook this Giveaway with a link to this post. Link up to my Weekend Bloggy Reading link party this weekend AND include a link back or my blog party button for that entry to be considered eligible for this prize. Follow me here on the blog via Google Friend Connect (the little blue "Follow" box on the sidebar). OR, let me know if you already Follow. You know you want to. All the cool kids are doing it. Okay, I gave y'all a lot of options because I think this is such a fun Giveaway! Hope you have a fabulous day, filled with fun, love, and maybe some crafting. I used Elmer's in the project I shared on my blog today:) I have a hard time deciding what kind of craft I like best...maybe fabric. But I to spray paint things too! My favorite craft would have to be sewing crafts...I like making pillows or curtains or anything quick and easy like that. I like to craft with paper the most - - I find it relaxing and if I make a mistake, it doesn't cost much to fix it. Looking forward to reading about your party - - sounds like fun! My favorite craft to work on---party decorations! I enjoy painting and decoupaging. Mostly I do paper crafts and they ten to be kid-related since my daughter likes to do them with me. My favorite craft is any one that allows me to use my Silhouette! I got mine for Christmas and it's been my best friend ever since. And I'm a follower of your blog. :) Thanks for the awesome giveaway, Amanda! What a great giveaway! Love Elmer's products. I like paper crafting the most! My favorite crafts are the ones I can do with my kids. Im always looking for something new to try. What a fun giveaway! My favorite craft of course Mod Podge. Because I really don't know how to do anything else! I've only blogged twice this week - I'll still link up, but you may be sorry! I am a sewer at heart, but there is something so satisfying about the "instantness" of scrap-booking that it will always be a major part of my crafting life. You KNOW I already like your FB page! And you are one of the first bloggy friends I ever followed! And I'm still following! My favorite craft is scrapbooking! I follow you...have for some time now. I love to make my own cards and envelopes. I use Elmer's glue dots quite often. Love the glue tape, as well. I love making party supplies for my daughter!!! What is your favorite kind of craft to work on? I love doing paper crafts including quilling and elmers white glue is great to use with it..
Hmmm....favorite craft....right now it's anything with my new Silhouette!! Thanks for the awesome giveaway! 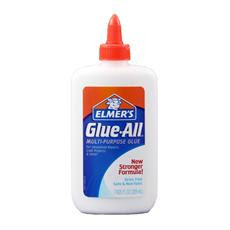 I'm a school teacher a love Elmers glue! I posted the link of Facebook!! My favorite craft? I really don't know! Probably which ever one I just finished. I follow yopu on google!!! My favorite type of craft? The one I am currently working on at any given time!!! I am an opportunistic creator! WOOHOO! I'm know I don't realy qualify to enter b/c I'm coming to the party but I'm so excited to come! :-) Yay! I love doing paper crafts! I love making paper crafts, mostly decor. Wreaths are my favorite thing to craft followed by working with fabric. My favorite craft is making cards to send to my dearest friends. This week I'm creating a cool vintage-y sign out of a cupboard door that washed up on the beach. I like to do torn paper art, glue stuff, make cards, etc. I follow you on twitter & will retweet. My favorite craft is knitting but I'll try anything. That is the most amazing package - I hope I win! Wow, what a great giveaway. Can't believe all the goodies they sent you. Have a great time craftng. Paper crafting is a fave of mine. I'm keeping my fingers crossed for this great giveaway. Great giveaway! We use the glue sticks for scrapbooking! I'm sort of lame - my favorite crafts to work on are the ones I can pick up in a kid-friendly-kit. I enjoy gluing the pre-designed crafts together with my 2 young boys. I officially Like you on facebook. I've re-tweeted your give away link on Twitter. 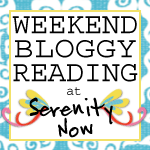 I linked up to Weekend Bloggy reading - even thought I didn't feel like I had a worthy post! And I linked to you in my TODAY's post, as well as the weekend post I linked up. Memories of Elmer's from way back! P.S. 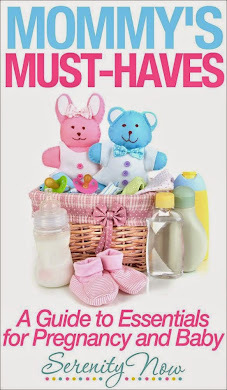 Linking up to my bloggy post. My favorite craft to do is recycling old things into a new and beautiful thing. Recently I remade an old t-shirt into a reusable shopping bag. It was great. Great blog and great giveaway. I guess my favorite craft to work on would be paper right now. It's easiest to get a hold of for me right now, but I have lots of fabric, woodworking and painting projects in my future!